Expenses without the report. You submit your expenses as you go, and get paid back right away with direct deposit into your bank account. Abacus is a real time expense reporting solution that automates expense creation and approvals. 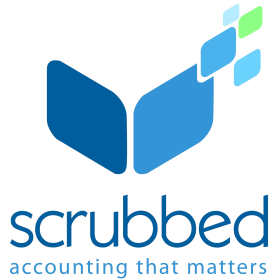 It is the easiest way for you to reimburse your team, reconcile corporate credit cards, and implement your expense policy. Policy rules are applied before expenses can be submitted in order to reduce violations. Routing rules then automatically send the expense to the best suited approver. Once an expense is approved, Abacus handles the reimbursement and direct deposits into the employee's bank account. Sync expenses into your accounting software using either cash or accrual method as they are approved so that your books are always up-to-date. Build custom analysis reports with real time data to help you identify trends and manage budgets. By integrating Abacus’ real time expense reporting software to Xero, customers are able to keep their books up to date with employee expenses being continuously synced and automatically matched to transactions in their bank feeds. Abacus is a simple but powerful tool that helps reduce employee errors, automate your expense policy, and reduce review time. Reimbursable and corporate card expenses are indexed in the Abacus engine by their contextual information, allowing you to customize your approval workflow and create more meaningful reports out of expense data. Setting up the Xero and Abacus integration is easy! Once you have created an Abacus account, simply connect the two systems, map your categories and invite your team. Want Abacus but don't have Xero yet?